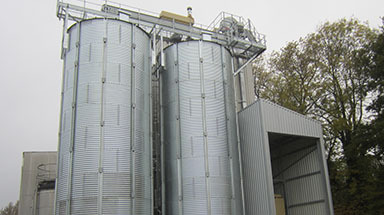 Our brief was to deliver a full drying plant project for the customer. 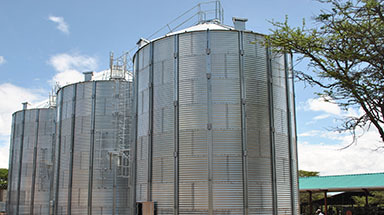 We designed, manufactured and installed seven, 8 meter diameter 7 ring 45 degree hopper bottom silos with an aeration system. 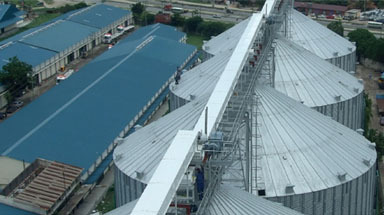 Each silo is capable of holding 380 tonnes that are connected with a 2 metre wide top catwalk system. 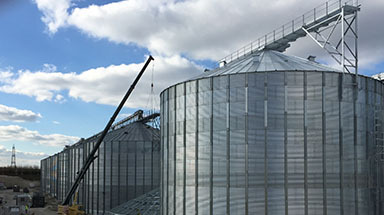 A 4 meter 5 ring 45 degree lorry loading silo was also manufactured and erected on supporting steel to give a 4.5 meter high drive throw. 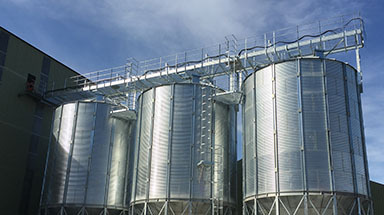 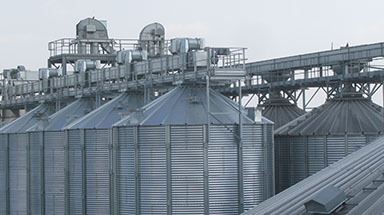 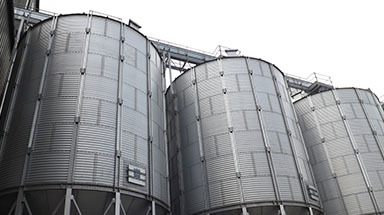 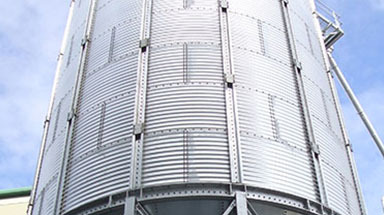 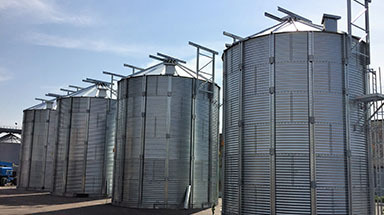 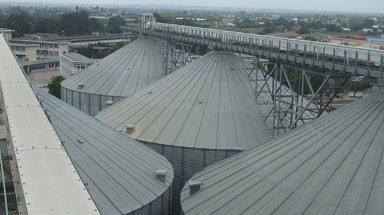 Each of the 8 metre hopper bottom silos are wet bins which are required prior to the drying of the grain, before it gets added into a flat store.